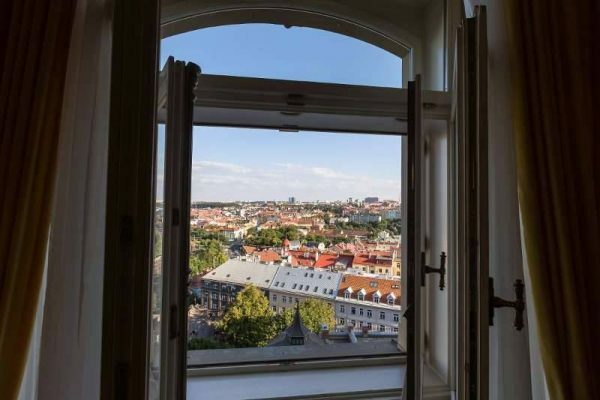 Tower Suite (56 m²) offers impressive views of Prague. Dine with style in the round „tower“ connected to the bedroom. Balcony Suite (63 m²) offers wonderful views over the rooftops of Prague from the only Hotel’s balcony. Bellevue Suite (65 m²) with an al secco ceiling painting, and spacious living room with amazing city view. 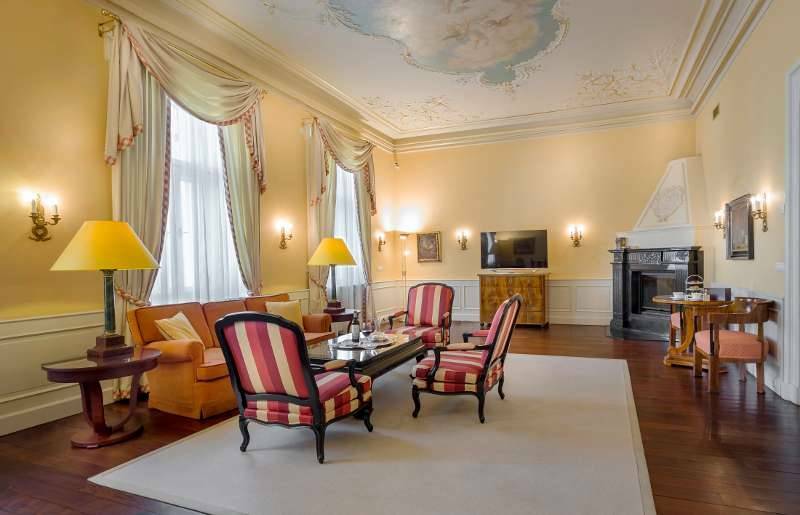 Belvedere Suite (83 m²) is a breathtaking suite with comfortable bedroom, hall with antique desk, and large living room. 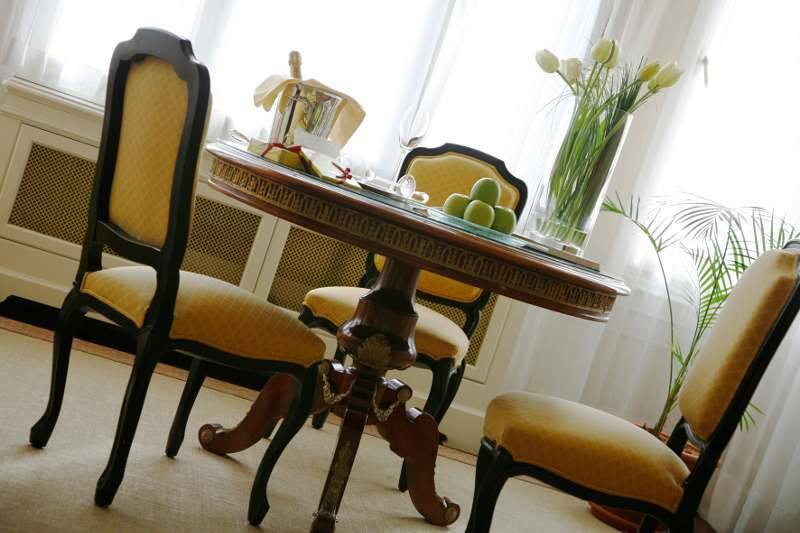 Le Palais Suite (84 m²) is a wonderful suite with comfortable bedroom, hall with antique desk, and large living room. 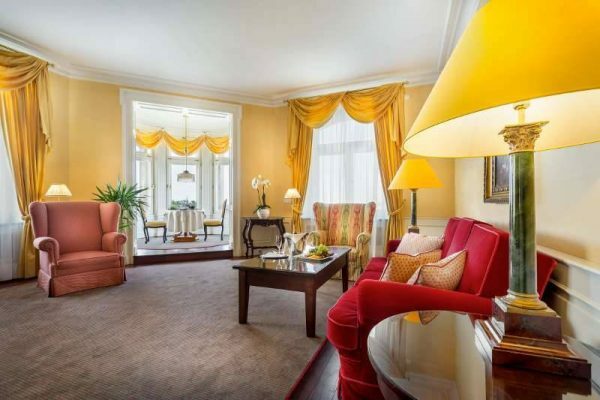 Bohème Suite (94 m²) offers fantastic views and has two separate living rooms with separate entrances. 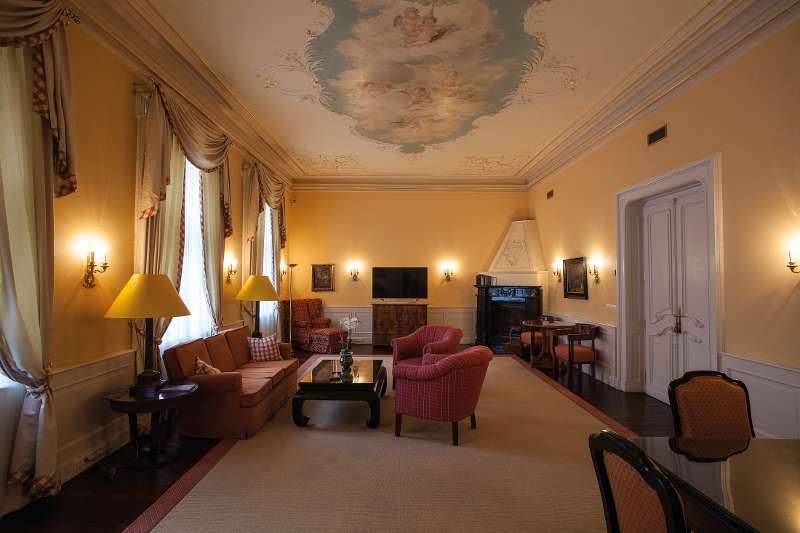 The suite features original paintings on its walls. 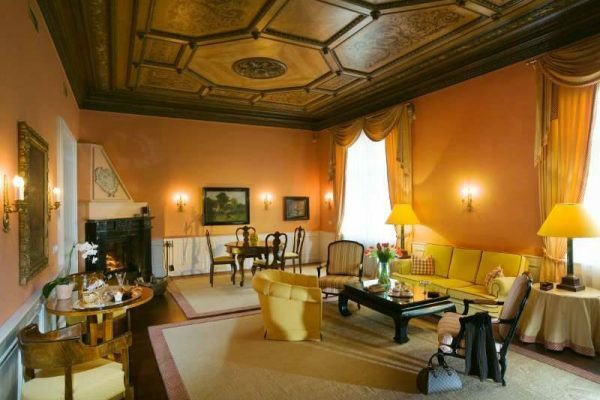 Belle Époque Suite (72 m²) is a unique suite with original ceiling frescoes depicting celebrating angels. The spacious living room incorporates an open fireplace. 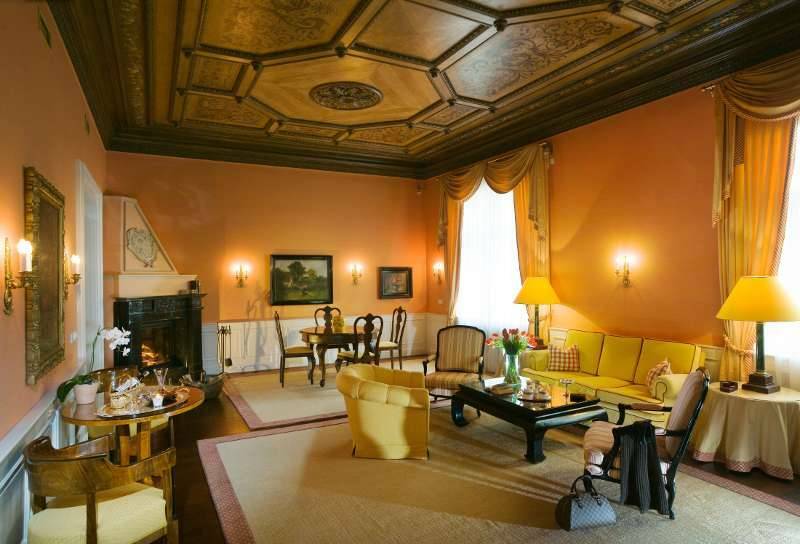 Marold Suite (72 m²) has a large living room with a remarkably realistic oil-on-plaster faux-bois ceiling, a separate bedroom, and a wonderful marble bathroom. 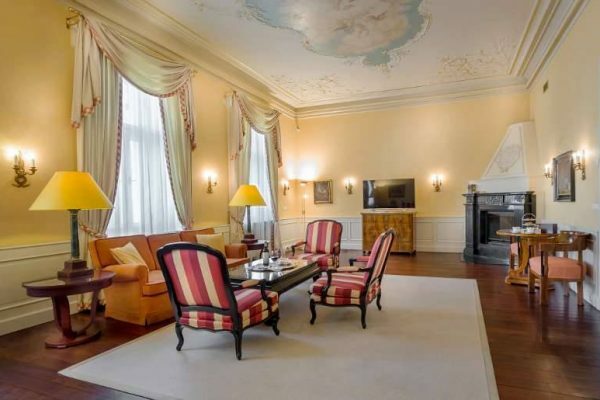 The luxurious atmosphere is highlighted by an open fireplace in the living room.